EDMONTON, Alta. - Aurora Cannabis is acquiring Whistler Medical Marijuana Corporation in a $175-million deal announced on Monday. The Whistler, B.C.-based company is one of Canada’s original 10 licensed producers and was the country’s first licensed producer to obtain organic certification by the Fraser Valley Organic Producers Association (FVOPA) in April 2014. Edmonton, Alta.-based Aurora says the deal will expand the company’s medical and recreational product portfolio with the addition of Whistler’s organic certified products suite. Whistler operates two indoor licensed production facilities a 20-minute drive apart. Once the recently licensed second location reaches full capacity the combined production capacity of the locations is expected to be more than 5,000 kilograms per year. 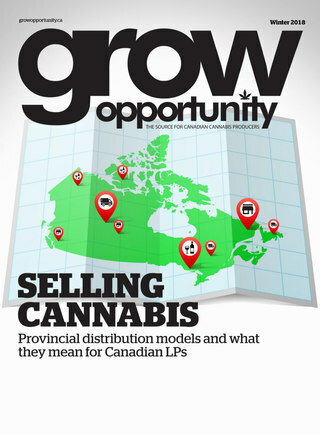 “Whistler has achieved average selling prices in excess of 50 per cent greater than the average Canadian medical market, and maintains a similar premium to provinces for adult-use,” Aurora stated in a release.